You need “Cards” and “Cores”! 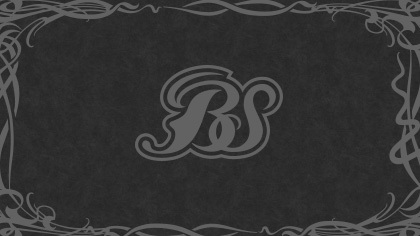 “Cards” and “Cores” are necessary to play Battle Spirits. 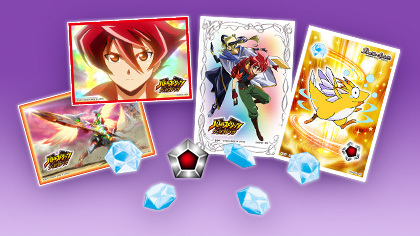 We recommend a Starter Deck including a set of cards and cores to new players! 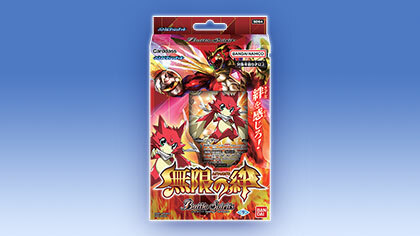 Then strengthen your deck with Booster Packs to attain victory! 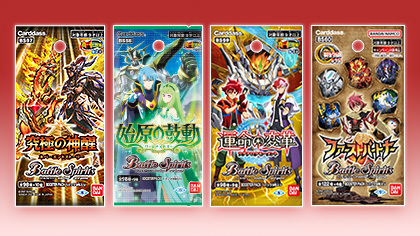 Power up your deck with Booster Packs! Check here for the Official Rules! Check and make sure the list of Banned and Restricted Cards before you join Official Tournament! 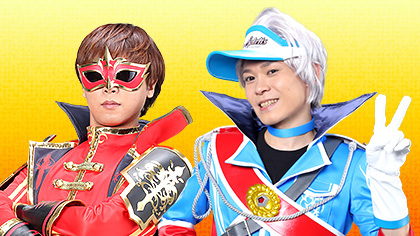 Now you can try battling with lots of opponents! If you’d like to face some new challengers, try taking part in a local tournament or event, skill up yourself! The shop battles being held currently ! 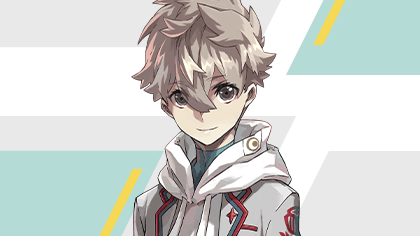 Special event or official tournament report is here! There’s plenty of merchandise available! 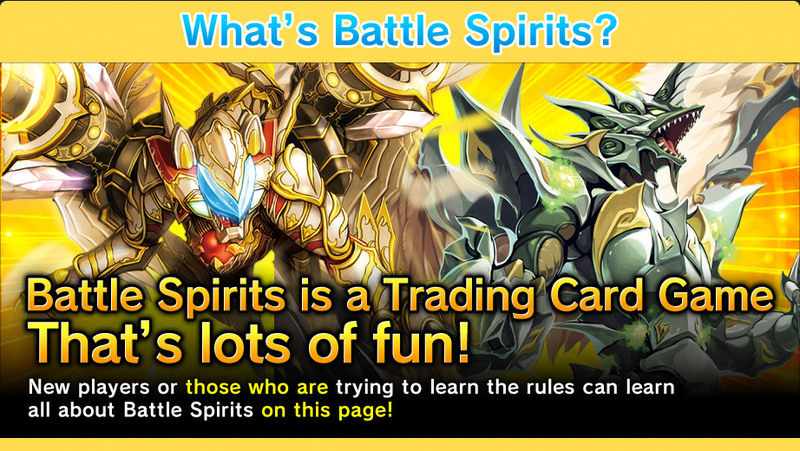 You can enjoy Battle Spirits to the max! 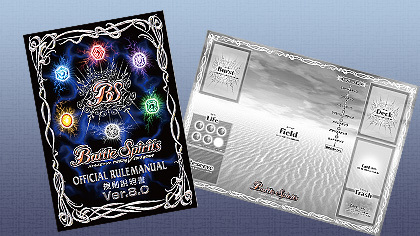 How to play "Battle Spirits“? 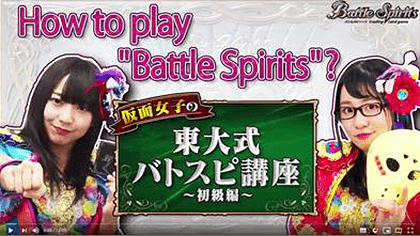 Battle Spirits Lesson Course ～For Beginners～ What is "Battle Spirits"?